The philosophy of holism assumes that the entire universe is one whole system and that, within the great whole, there are lesser wholes whose structures, patterns, and functions correspond completely to those of the greater whole. The astrologers and philosophers of medieval times used the microcosm-macrocosm concept to express this idea: i.e., the whole universe is, in microcosm, within man; and, in turn, the starry patterns in the heavens were seen as the Grand Man or the Cosmic Man. An example of this sort of correlation may be seen in comparing a single atom to our solar system. The atom is a microcosm of the macrocosmic solar system. This same notion was called the "principle of correspondences" by the English metaphysical poets. The important thing about this approach is that, by studying the cycles and patterns in the greater whole (the planets), we can learn about the cycles and patterns within man himself. The holistic approach does not assume that causality is the ultimate law of the universe; for if indeed the universe is one whole, how can anything ultimately cause anything else? Rather, the ancient law of correspondences between parts of a whole is a more appropriate way of looking at holistic phenomena. C.G. Jung calls this law of correspondences "synchronicity," an a-causal connecting principle; and, in reference to astrology, he points out that whatever is born or done at a particular moment in time inevitably bears the qualities of that moment. Jung uses the example of a connoisseur of wines who can judge merely by a taste the type of grape, the area where it was produced, and the year of vintage. This law of synchronicity explains why the horoscope is drawn for the moment of the individual's first breath, for that is the time when the new-born child begins his individual rhythm in tune with the greater whole of all life around him. This same idea is expressed throughout ancient and modern literature and philosophy. Emerson, for example, writes: "The Laws by which the Universe is organized reappear at every point and will rule it." Lincoln Barnett (1951) further states: "Einstein's objective in the broadest sense is to show that all forms of nature — stars, planets, light, electricity, and possibly even the tiny particles inside the atom — obey the same universal laws." The primary use and value of astrology is the application of this knowledge of universal laws in our individual lives. 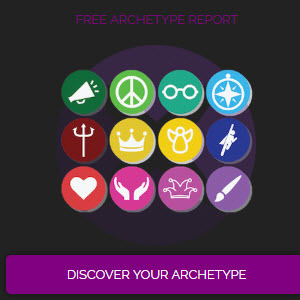 More than any other modern astrologer or philosopher, Dane Rudhyar has clearly and comprehensively expounded a holistic approach to astrology and, indeed, to psychology, philosophy, and all things that touch upon man as an individual person. During the past fifty years, Rudhyar has published dozens of books and hundreds of articles dealing with astrological, psychological, cultural, and philosophical subjects, the best known of which are The Astrology of Personality (1936), The Practice of Astrology (1968), Birth-Patterns for a New Humanity (1969), The Planetarization of Consciousness (1970), and An Astrological Study of Psychological Complexes and Emotional Problems (1966). In addition, he has developed what he calls "Humanistic Astrology," a new and modern approach to astrology which is entirely compatible with modern psychological techniques. 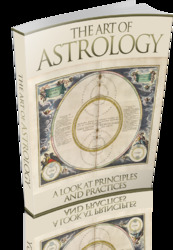 More than any other person, Rudhyar has presented astrology in a thoughtful and sophisticated way that blends perfectly with the most hopeful insights of modern science, philosophy, and psychology. Where Paracelsus speaks of identity of Macrocosm and Microcosm, where Rudhyar speaks of the principle of sympathetic resonance of all parts of the universal whole, where Jung speaks of a synchronistic principle governing identical manifestations of psychic phenomena in terms of time, modern astrology, because it follows the scientific attitude, insists on objectifying such correspondences into a law of cause and effect. In this way, modern astrology betrays its ancient heritage to the fetish of scientific respectability. Is humanistic and holistic the same philosophy?